• Ragdoll breeders are listed below alphabetically by state / city. This breed directory page features Ragdoll Cat breeders with kittens and/or adult cats for sale. Ragdoll Cat breeders, you may place an ad for your Ragdoll Cat kittens and/or adult Ragdoll cats for sale on CatsForYou.com to find qualified buyers. Georgia - Gainesville, GA Ragdoll kittens for sale - TICA registered. Well socialized. 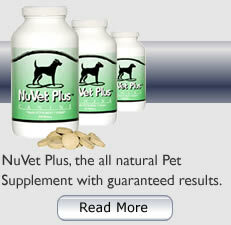 Spay / neuter, current vaccinations, vet checked, micro-chipped and health guarantee. Wonderful personalities. Located in the state of Georgia. Illinois - Decatur, IL Ragdoll kittens for sale in Illinois - Kittens will have their first shots, dewormed and vet checked before they go home. They are home raised in a smoke free environment. They are very loved and well socialized. Check back for future litter news. Illinois - Woodstock, IL Ragdoll kittens for sale in Illinois - we take pride in our kittens. We socialize them from birth so they are outgoing and affectionate. Indiana - Fort Wayne, IN Ragdoll kittens for sale in Indiana - Kittens are current with shots and worming to age. TICA registered. Lovely colors and markings. Home raised in a smoke-free environment, loved and very well socialized. Kittens have awesome personalites. New York - Spencerport, NY Ragdoll kittens for sale in New York - Beautiful TICA registered. Very cute and lovable. Family raised and cared for with much attention. Kittens are available now to new loving homes. North Carolina - Charlotte area, NC Ragdoll kittens for sale in North Carolina - we are a ragdoll cattery / ragdoll breeder; we sell Ragdoll kittens throughout the entire United States and around the world. We strive to produce healthy, beautiful, and loving ragdoll kittens with that sweet floppy personality—which the ragdoll breed is known for. All of our ragdoll cats come from Grand Champion and Champion traditional lines; we carefully conform our breeding program to the ragdoll breed standards. Pennsylvania - Spring City, PA Ragdoll kittens for sale - TICA registered. Champion bloodlines. DNA negative for HCN. Current vaccinations, vet checked and health guarantee. Located in the state of Pennsylvania. Check back for future litter news. Donalds, SC Ragdoll kittens for sale in South Carolina - TICA registered, social and sweet, up to date on shots and worming. Breeding rights available. San Antonion, TX Ragdoll kittens for sale in Texas - TICA registered, spayed/neutered and with their first 2 rounds of vaccinations completed. Our kittens come with a 72 hour immediate health guarantee and 1 year genetic health guarantee.